Twenty-two percent of all children who die worldwide before reaching the age of five are born in India—more than 1.4 million boys and girls each year. With the goal of reducing preventable deaths, the Government of India in 2006 formed a network of 825,000 women who serve as Accredited Social Health Activists (ASHAs) in rural communities. 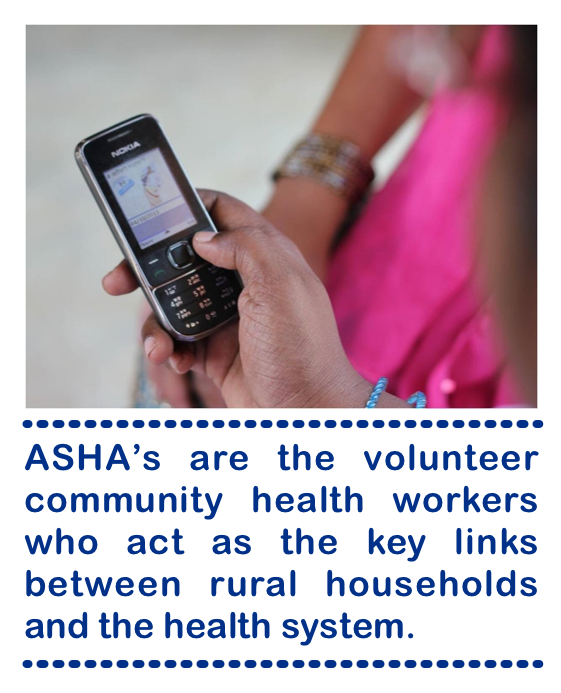 ASHAs, are volunteer community health workers who act as the key links between rural households and the health system. While this new cadre has a huge amount of potential to improve health outcomes, its impact is undermined by uneven performance; low levels of literacy; poor role clarity and no management structure. CRS’ Reducing Maternal and Newborn Deaths (ReMiND) project developed a mobile application for ASHAs. Its introduction to the ASHA cadre at the community level in select districts of the state of Uttar Pradesh, India, has demonstrated how improved interpersonal communication and supportive supervision can strengthen community health systems. 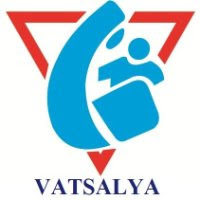 The project aims to increase ASHA coverage; increasing the frequency and quality of counselling by ASHAs to their clients; increasing client knowledge of danger signs during and after pregnancy; and increasing adoption of key maternal, newborn and child health (MNCH) and nutrition practices by clients. ASHAs use mobile phones operating open‑source software that equips them with multimedia job aids to support client assessment, counseling, and early identification, treatment and/or rapid referral of pregnancy, postpartum and newborn complications. The main focus is on the ASHA’s most important task—visiting pregnant women in her coverage area and providing counseling for appropriate health behaviors and referral services. She registers each new mother, entering client data into the phone, and on each subsequent visit, the application walks ASHAs through checklists, questions and educational prompts to identify current issues, determine if prior treatment was followed and share new counseling points based on the woman’s stage of pregnancy. The application also guides ASHAs in early identification of problems and supports rapid referral of women and newborns with complications to appropriate care. A range of educational modules present behavior change messages through use of images and audio, which are fully aligned with government guidance for ASHA pregnancy home visits. The Data Dashboard is a visualization tool summarizing data collected by a community health worker- the ASHA, from a CRS mHealth project in India. The data presented is from June 2014-November 2015, and is transmitted in real time to a CommCare cloud-based server. 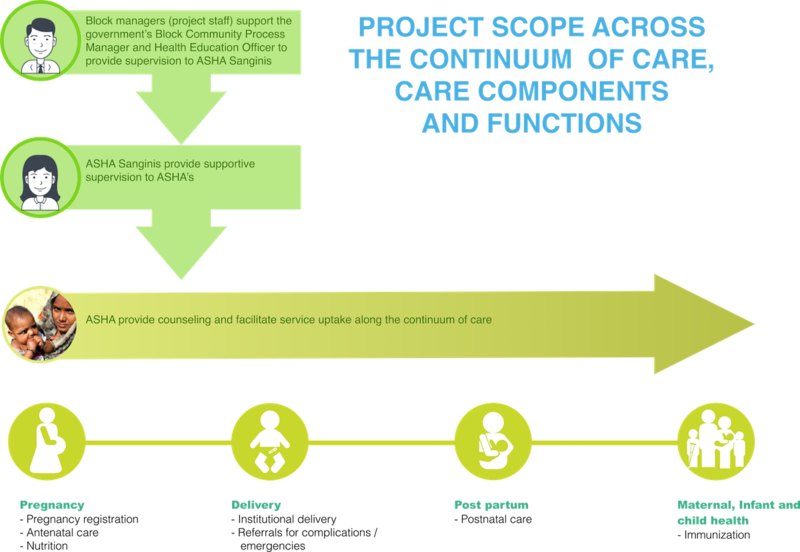 This allows project supervisors and government health professionals to monitor ASHAs’ activities in even the most remote areas and provide timely, effective guidance. Date ranges for key indicators can be selected by quarter.